Among the most popular of African materials is the African George fabric, which has its origins among the Igbo people of Nigeria. 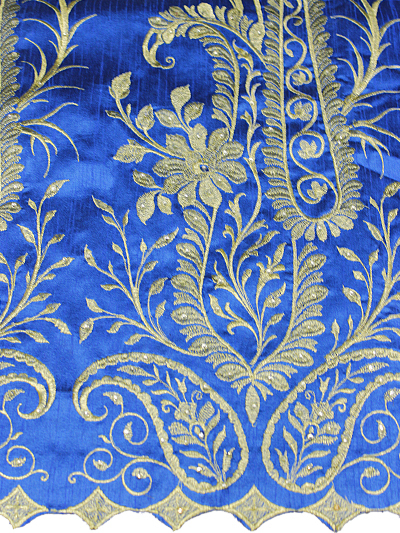 The beautifully-embroidered George fabric is renowned for being soft and comfortable to wear. With its regal and celebratory appearance, it has historically been widely used among African noble and royal families. It’s also a perfect fabric for ceremonies such as weddings. Today, it remains one of the most popular African fabrics and is used in many ways. African George fabric remains popular for wedding attire in the Igbo community, where a local tradition, Mgbede, marks a young woman’s rite of passage prior to her marriage. In years gone by, Mgbede meant the bride-to-be would be sequestered while her mother and other married women in the community familiarised her with the responsibilities faced by a wife. This would include advice on everything from her relationship with her husband to cooking and household chores. Today, although Mgbede still exists, it is more symbolic than practical and involves ceremonial elements. Traditional rituals are performed, as it’s generally understood that marriage is between two families, rather than just the bride and groom, so both families must participate in the Igbo celebration and the relationship is acknowledged in front of the local community. 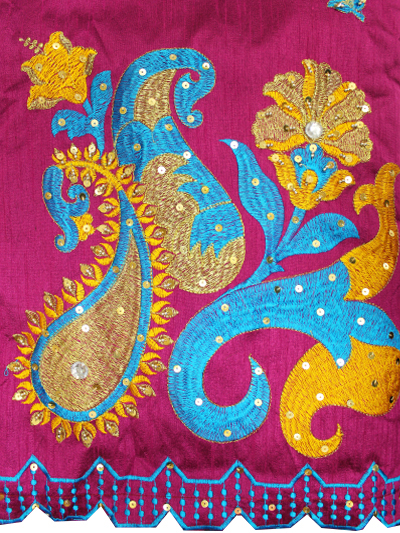 The African George fabric can be worn by the bride-to-be for an important occasion such as her first meeting with her mother and father-in-law, for example. A popular style is the African George wrapper, which consists of long pieces of cloth wrapped around the bride-to-be in a certain way. The wide pieces of fabric can be wrapped around the waist or bust. Some women also wrap them around their neck. On her wedding day, traditionally, the bride is assisted with her clothing by her mother and mother’s friends, with African George fabric the popular choice for wedding garb. After the wedding ceremony, the newly-weds change into matching outfits, again in African George material, to signify they are now husband and wife. In the past, the ceremony would have been funded solely by the groom’s family, but today, a more modern approach is often taken, with both the bride and groom’s families often jointly-funding the ceremony.